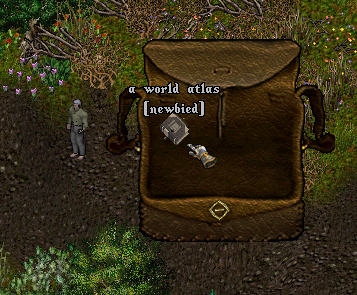 Characters upon creation will receive a newbied World Atlas. Players may later purchase additional (non-newbied) World Atlases from any Scribe, Mapmaker, Tavern Keeper, Innkeeper, or Provisioner. 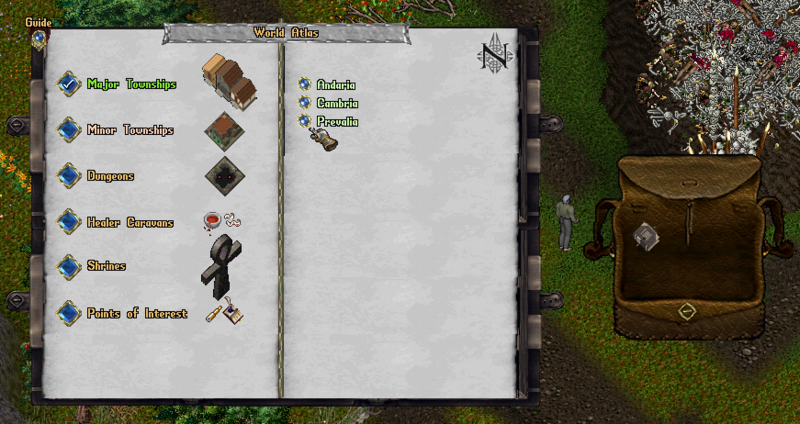 Double-clicking a World Atlas will launch the World Atlas window. The right page lists all locations available in the world for the currently selected Location Category. Clicking the button next to a Location on the right page will launch the detail window for that Location. 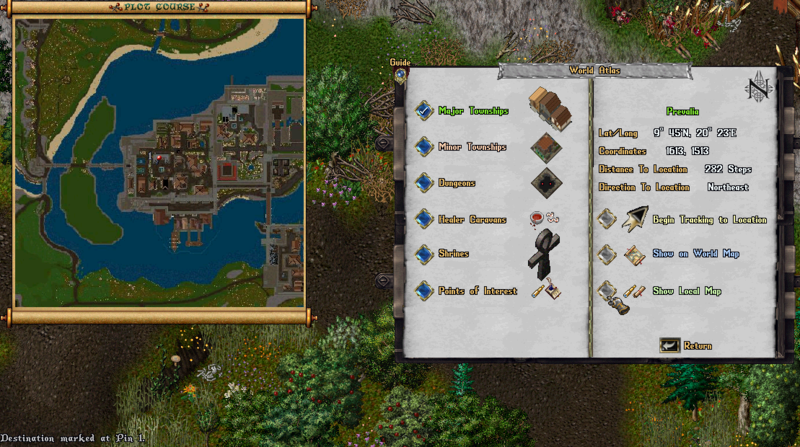 Clicking Begin Tracking to Location will place a persistent, constantly updating Arrow on the player's screen showing their relative direction to the destination. Players may Right-Click on the arrow to cancel it. While the player is currently Tracking to a Location, they will receive a system message every 10 seconds informing them of how many steps away they are from their current destination. 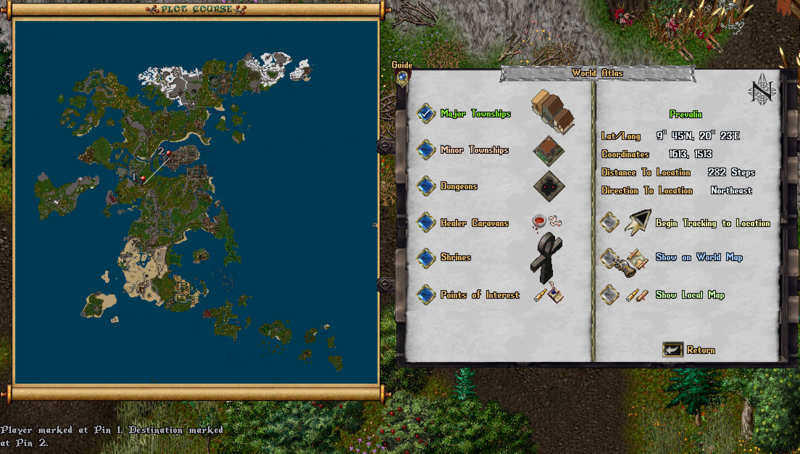 Clicking the Show on World Map button will launch a large-scale map showing the player's current location as Pin 1 and the Destination as Pin 2 with a line drawn between the pins indicating the path to the destination. Clicking the Show Local Map button will launch a moderate-sized map showing the immediate area surrounding the destination, with the destination marked as Pin 1.